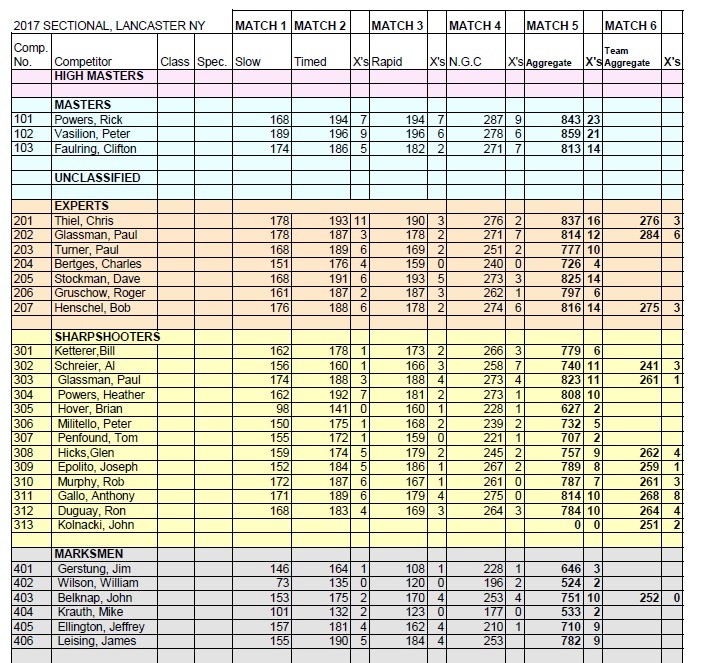 We are pleased to be able to make available the preliminary results from our August NRA Approved Outdoor Precision Pistol Tournament. We enjoyed the company of 9 competitors, including one gentleman who came out from Syracuse. Thank you to all of our volunteers who helped to run the match. The preliminary results are available below. We are pleased to report that another well-run and successful NRA approved 2700 tournament was held on June 11. Nine competitors fired the entire match. The preliminary results are posted below. A two week challenge period ends on July 5, 2017, after which the scores will become final unless amended. Click here to download the score bulletin. 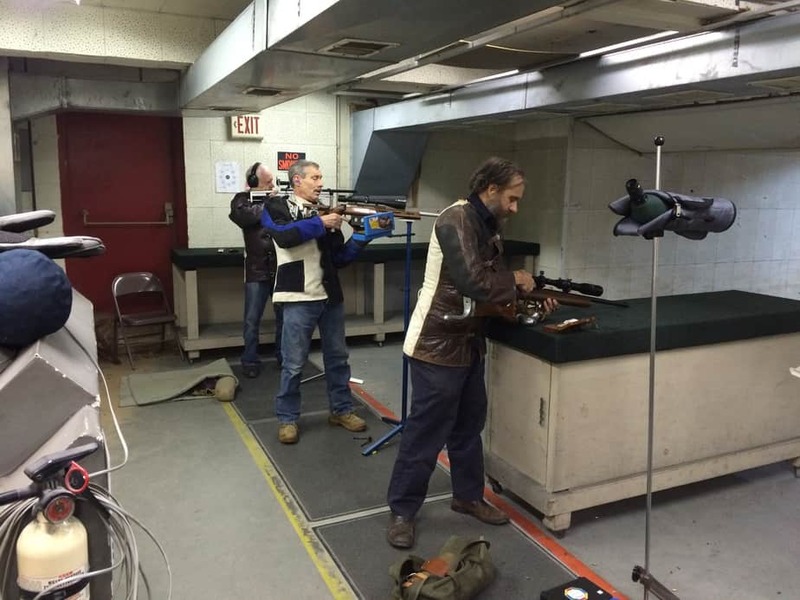 The summer Air Pistol League starts Tuesday May 9. Run by our sister club, Alden Rod and Gun, the League on Tuesday nights starting at 7:30 PM and ends with a banquet on August 1, 2017 (no shooting on Tuesday July 4, 2017). Course of fire is the 40 round short course, fired at 10 meters, using .177 air pistols. Pneumatic, pre-compressed air, and CO2 air pistols are all acceptable. The League is run and maintained by SPL Secretary Carl Leas. If you would like more information or have questions, please contact Carl at 716-656-0350. 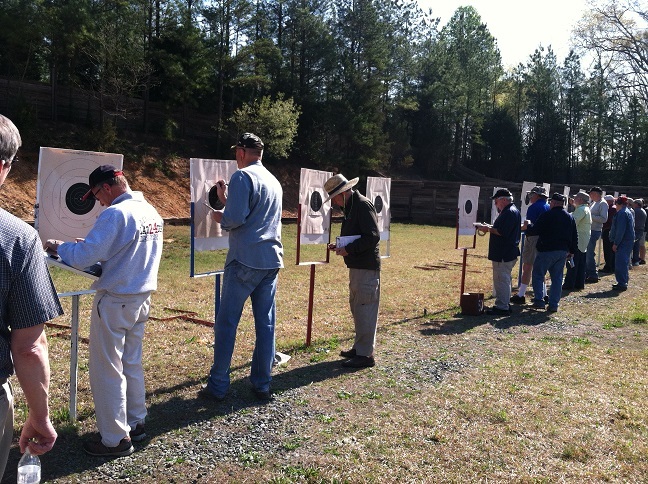 On Friday, Saturday and Sunday, February 24, 25 & 26, Ten X held the NRA National Indoor Pistol Championship. We would like to thank all the volunteers that made this event a real success. Everyone that came out to volunteer for all three days really made this event run very smoothly. We even had a chance to clean out the closet under the stairs in the downstairs range! Thanks to everyone for all your hard work (too many to name in this limited space). However, a big public thank you to our Match Secretary Jim Gerstung for all the paperwork that you manage. The Preliminary Results of the match are below. You can download the PDF by clicking here.